Advanced systems in development at White Sands Missile Range have been handed over to Soldiers who will develop the tactics to employ the new war fighting tools. Soldiers from the 2nd Combined Arms Battalion, based at Fort Bliss, Texas, signed for and took possession of unattended ground sensors, unattended urban sensors, small unmanned ground and air vehicles, and network integrated humvees as well as support equipment like batteries, chargers and radio repeaters. These systems are part of the brigade combat team modernization effort, formerly known as Future Combat Systems. Over the next few months, the unit will use the equipment in a series of field training exercises and in addition continue to test and evaluate the capabilities and usability of equipment. They will also begin developing the methods the Army will use when employing the systems. 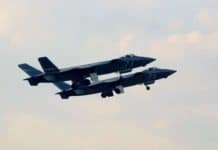 “Out of these (test) events we’ll be gathering information for manuals and refining our tactics, techniques and procedures,” said Capt. Marc Cervantes, assistant program manager for the BCT modernization effort’s spin-out one. Unlike most systems that are tested individually by civilian test officers, the systems are being tested as a group by Soldiers to get better user feedback on both the individual systems and the network that connects them, allowing them to form a system of systems with each component providing the operator with pieces to form a larger battlefield picture. To develop the new way of fighting that this new equipment will allow, Soldiers will be conducting complex field operations. 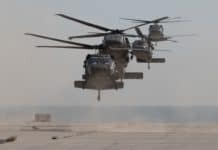 Running missions that simulate the kinds of operations currently being conducted in places like Iraq and Afghanistan, the Soldiers must also take into consideration future operations and threats in other theaters as well. “We’ll be conducting the full spectrum of operations to give the equipment and overall view of the operations that we will run (in the real world); offensive operations, defensive operations and stability operations… We’re trying to make it as close as possible to how and actual Soldier would use it,” said Maj. Mike Tremblay, battalion S-3 with the 2nd Combined Arms Battalion. Systems like the tactical unattended ground sensors can be placed in areas that Soldiers need to monitor, and transmit information and images to Soldiers and commanders over a kilometer away. 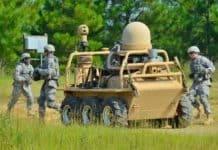 While the ability to monitor an area without needing to keep a Soldier there provides obvious tactical advantages, what exactly is the best way to leverage this new advantage is what the Soldiers will find out. “(The Future Force Integration Directorate’s) job is to make sure not only that the equipment works, but that the Soldiers know how to fight with it,” Cervantes said. In the initial stages of the test, technical support representatives will be on hand to help the Soldiers should they face any technical problems in the field. But as the testing progresses the support personnel will be pulled back farther and farther until, in the final stage, the Soldiers will be on their own. As the Soldiers progress through the testing they will be reporting feedback on system performance and suggested improvements. It is this feedback that will help Army leadership decide if they should order the first round of production and deployment of the new tools. “When you have a say in the development of the Army’s newest tools it’s an exciting thing because (the Soldiers) get to be on the cutting edge… We’ll provide the feedback on not only how to use the equipment, but what is good about it and what needs to be improved,” Tremblay said. 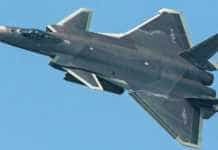 Testing of these systems has become more important in recent months as the program is restructured to meet current and future Army requirements. Where in the past the plan had been to supply FCS technology primarily to brigade combat teams organized on the FCS model, it has now been decided that FCS technology will be integrated into all BCTs. As a result, the tactics techniques and procedures developed by the 2nd Combined Arms Battalion will be utilized by even more Soldiers than previously expected. There’s also an expected shift in Army culture on the horizon as a result of the fielding of high technology like these systems. Currently many Soldiers see their most important skills being those relating to physical fitness, and the ability to make good decisions in the high stress environment of combat. 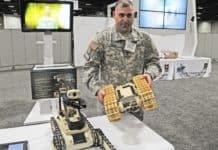 As more and more technology is delivered into the hands of the Soldiers, a Soldier’s technical skills are expected to become just as critical as their ability to physically outperform an opponent. “I think the most important warrior skill is anything that enhances the Soldier’s abilities on the ground,” Tremblay said. This attitude is mirrored in the current training program being used to train the Soldiers that are testing the new equipment. “Really, what we want is Soldiers with a high technical proficiency. 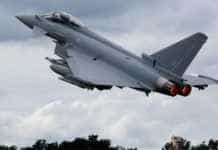 We are not the ones (being deployed), so we need Soldiers to be able to use (the equipment) and be able to train others,” said Jim Weger, a Boeing spin-out training lead.